Thanks to an ambitious development and restoration project, Lebanon’s capital city Beirut is slowly regaining its fame as the cosmopolitan Paris of the East. In 2009, the New York Times even named it “The No. 1 Place to Visit”, and it was included in the list of the world’s “Top Ten Liveliest Cities” by Lonely Planet. These lofty recommendations are well-earned. Beirut is one of the world’s oldest cities, with a rich trove of history and culture dating back 3,000 years before Christ. It is now, as well, one of the most fascinating places to be—a vibrant party town whose hip nightlife has brought a new level of fame to the ancient city. It’s a combination that’s evident when you go for a drive through Beirut’s neighbourhoods and see brand new hotels, restaurants, night clubs and cafés amid Roman ruins and archaeological sites where artefacts from the Phoenician, Hellenistic, Roman, Arab, and Ottoman eras continue to be unearthed. As an Arab city that has been influenced by Western and Eastern cultures for thousands of years, Beirut has long been multicultural. Despite this, Beirut has been divided into informal halves by religion—East Beirut’s population is largely Christian, West Beirut’s is mainly Muslim. These communities are served by St. George's Greek Orthodox Cathedral, St. George's Maronite Cathedral, and the Al-Omari Mosque. One of the most popular places to visit in the city is its renowned seafront promenade, the Corniche, which has a breathtaking view of the coast. 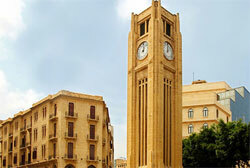 Beirut is far from perfect. It still bears the scars of war on the bullet-riddled facades of many older buildings. Racism is also said to be prevalent within the city—not to mention the entire country. Many of Africa, Asian and mixed blood who live or visit here have experienced discrimination. The influx of African and Asian workers to the city has added a layer of classism to the prejudice as well.